What you are about to see is disgusting. There’s really no nicer way to put it. While he was working in his machine shop today, Jesse James cut off his pinky finger, and because he’s a crazy badass, he decided to take a picture of the horrifying carnage. As you can imagine, the photograph contains its share of blood and is generally disturbing. If you are squeamish in the slightest or feel like your boss might not approve of such things, just bail right now. Where’s Emeril when we need him? Because that photograph requires a Bam! The incident in question happened this morning inside Jesse’s machine shop in Texas. He was working on some equipment and must have lost focused for a brief second. 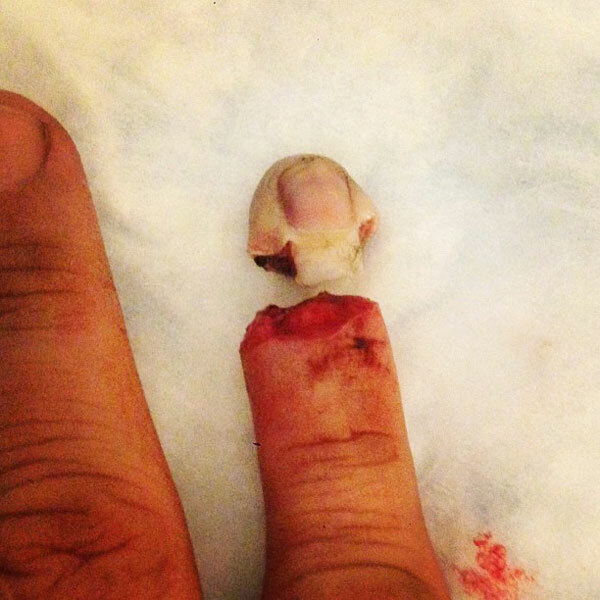 He was taken to the hospital almost immediately, but early reports indicate the pinky finger likely won’t make it, leaving its owner with only nine and a half digits. According to TMZ, James went into surgery this afternoon. When he did, he was reportedly calm and comfortable with the situation and more than ready to move on with his day, no matter how it turned out. Given his willingness to share, he’ll no doubt post pictorial updates of the situation over the next few days. 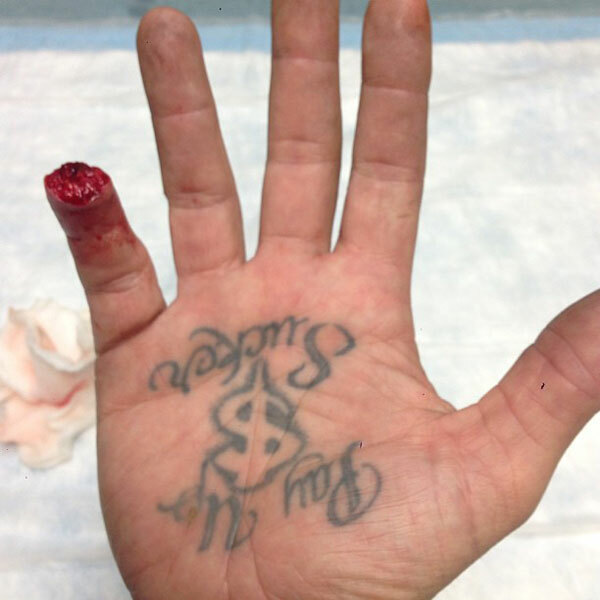 Here’s to hoping his new wife is okay with gnarly scars, or is at least happy that this’ll get people to stop talking about her new husband’s former loves. Jesse James Marries For 4th Time, Will This One Last?